'Ello there! 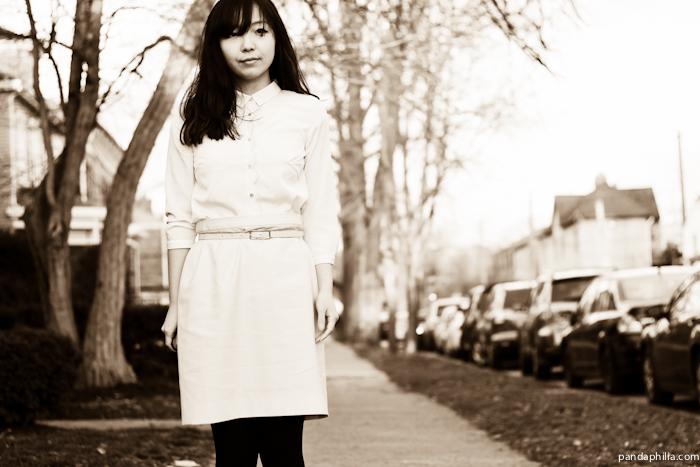 Welcome to my new and improved blog design, clean and minimalistic. Thanks to JJ for helping me work out all the kinks in this old tangle of code and sharing his artistic eye. Last week/Spring Break was a fantastic blur of food, reading, snoozing. Key highlights include reinventing Lunchables with gouda cheese, crackers, and deli slice turkey, watching The Croods and Hercules, dusting off my interior design/DIY renovation skills, observing strange animal behavior at the zoo, exploring the botanical gardens, discovering a vegetarian reuben that features savory wheat-meat (cray, I know) all with JJ. What I would give for another week to spend with my best friends in Arizona and Kentucky and my St. Louis babies. This was my work outfit for today (4/1), featuring a silky light pink blouse with a scallop edge that I picked up on sale this weekend. Something needs to be done about the way it poofs unruly when tucked in, but besides that the girly touch makes this top very special. 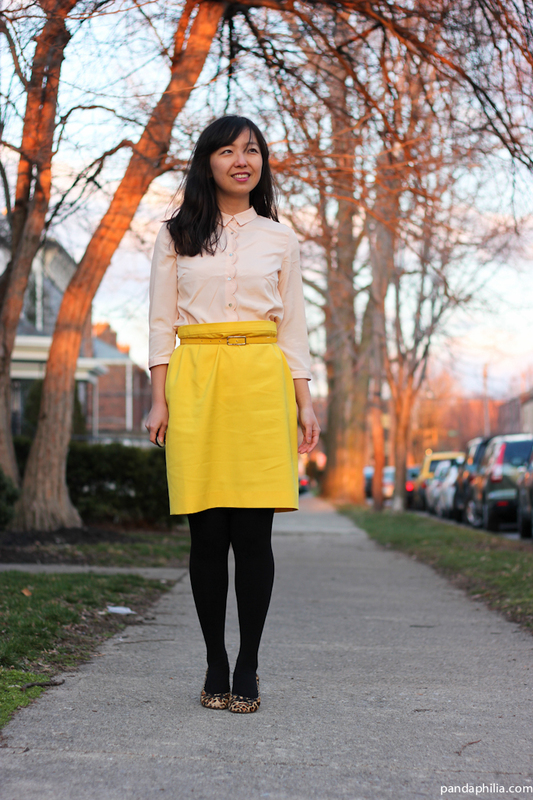 My much beloved bright yellow pencil skirt is also too big, so soon I will be searching for a tailor to fix up these two pieces. 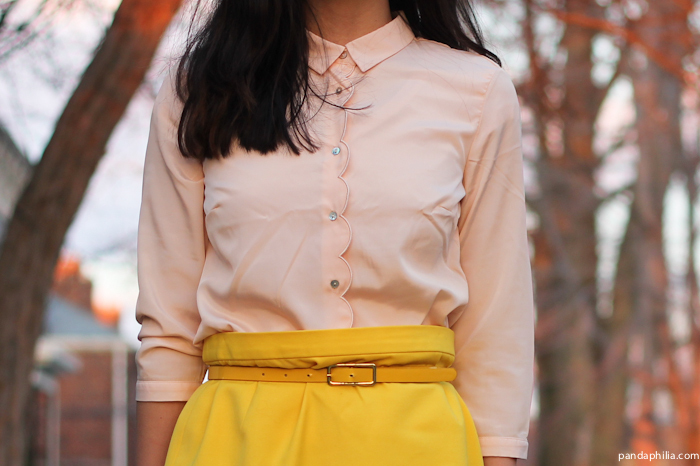 A quick fix to make the skirt more playful was to tie a yellow skinny belt to cinch it like a paperbag waist style. Spring is just around the corner (I hope), and here's to rekindling old passions. A fresh blog face has made me more excited to post and share tidbits from my daily life again, especially because of the busy-ness. As Ferris Bueller says, "Life moves pretty fast. If you don't stop and look around once in a while, you could miss it." Adorable shoes! Great work outfit! So pulled together and so fashionable. AND.... I love the Ferris Buller quote. 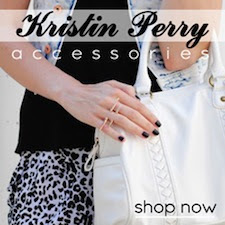 Great new design!! It was pretty clean before but I like it even better now with updated fonts :). I love the title of your post and it matches well with the outfit. 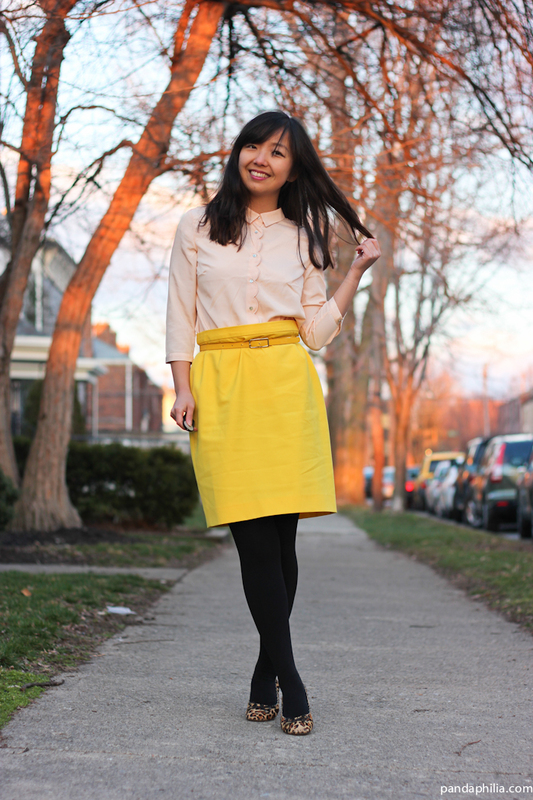 What a cute scalloped edge on that blouse! Hi. Thanks for your thoughtful comments on my blog. Your new blog design looks great, though I never saw the old one. 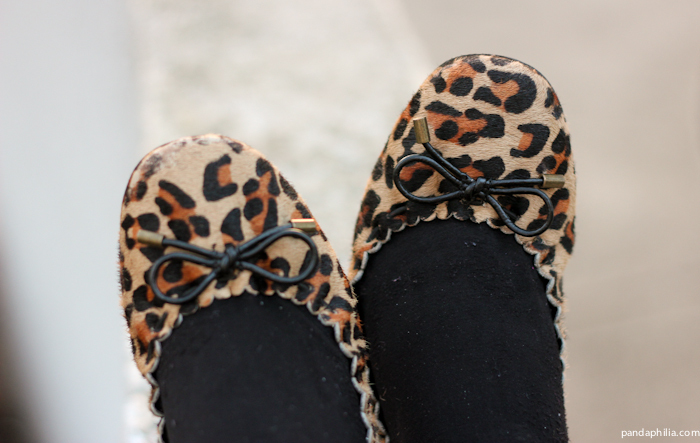 Loving the leopard flats. Are you really in San Diego? Gorgeous place. Must feel like vacation everyday. Lunchables with gouda cheese sounds awesome! It's like a classier, grown-up version of the kiddie snacks (which never really passed as being "enough for a healthy, nutritious lunch" growing upin my family). 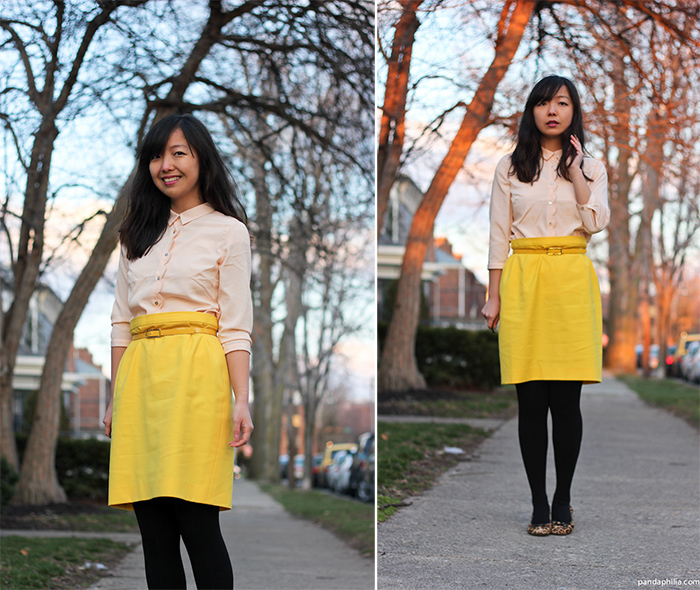 Love your scalloped blouse and how you paired it with the bright yellow skirt. The new design look great. 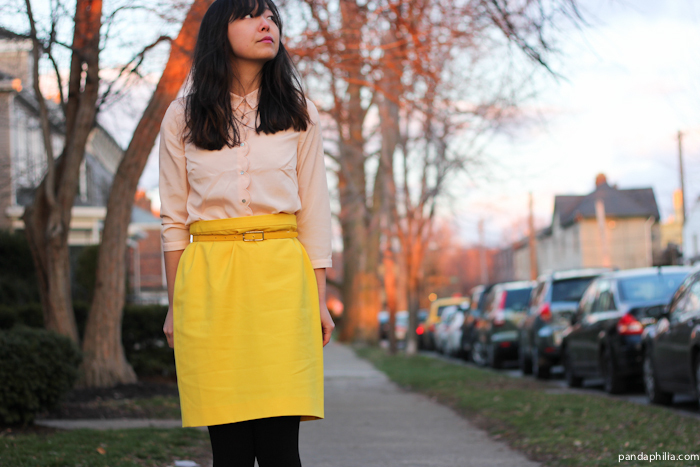 And I adore that skirt, I am crazy about yellow these days! 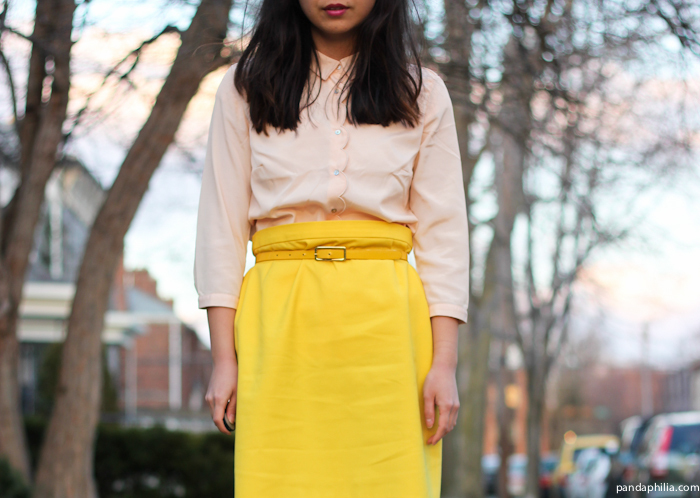 Love your springy colors! Yellow is perfect on you! angie!!!! i missed visiting your blog!!! you look great! 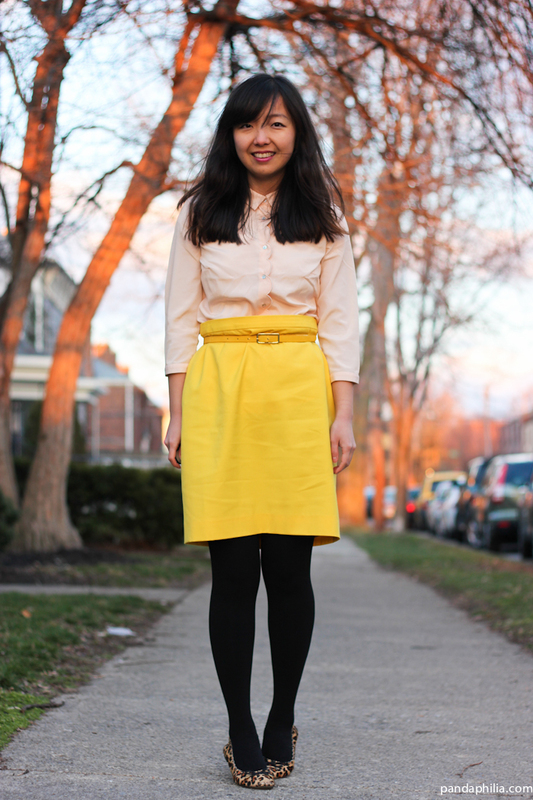 Love that yellow skirt! Great color combination!